StarWars.com has an interview with Timothy Zahn covering his latest book Thrawn: Alliances. David Collins and Amy Ratcliffe will be returning as stage hosts for Star Wars Celebration Chicago. MegaCon is September 22 to 23 in Tampa, FL. Star Wars guests include Delilah S. Dawson. New York Comic Con is October 5 to 7 in New York, NY. Star Wars guests include Jason Aaron, Ben Blacker, Steve Blum, Elia Bonetti, Andrea Broccardo, Mark Brooks, Joe Caramanga, Cryssy Cheung, Katie Cook, Delilah S. Dawson, Grey Delisle, Edgar Delgado, Terry Dodson, Dave Dorman, Chris Eliopoulos, John Giang, Michael Golden, Adi Granov, Greg Hildebrandt, Jody Houser, Lee Kohse, Ken Lashley, Marjorie Liu, Alex Maleev, Mary Elizabeth McGlynn, Jerome Opena, Joe Quinones, Livio Ramondelli, Paul Renaud, Alex Ross, R.A. Salvatore, Charles Soule, Cat Staggs, Ben Templesmith, Brian Thies, and Chrissie Zullo. Dallas Fan Days is October 19 to 21st. Star Wars guests include Dave Dorman. Hal-Con is October 26 to 28 in Halifax, NS, Canada. Star Wars guests include Delilah S. Dawson, and Chuck Wendig. Star Wars Celebration 2019 is April 11 to 15 in Chicago, IL. 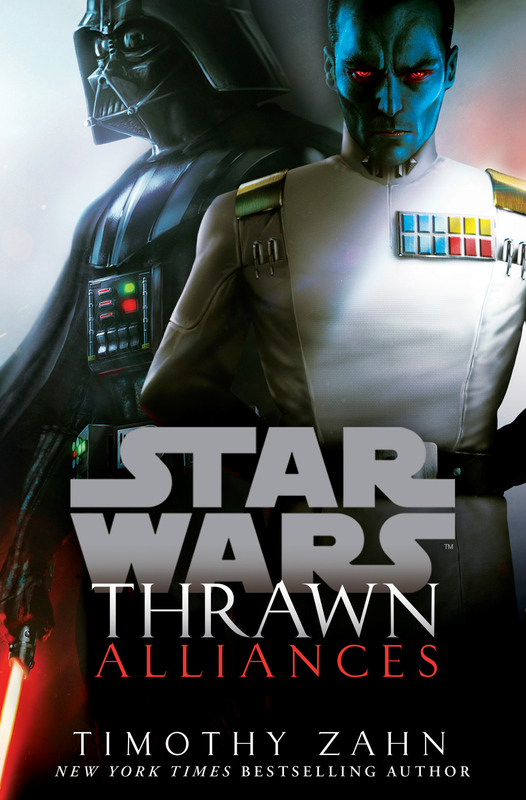 Thrawn: Alliances does something no other Thrawn novel has ever done, it teams up Thrawn with Anakin Skywalker and Darth Vader. With two different stories in two different eras, it delivers twice the adventure in one book. And let us not forget that Padmé is in this book, too. Click here for our full review. Blast Points: Episode 132 they talk Star Wars: The Clone Wars, Solo Blu-ray bonus features, and then they talk about Count Dooku for their main discussion. They go over his role in Attack of the Clones, and how he’s the Steven Seagal of Jedi. Fun episode. Coffee With Kenobi: Epsiode 134 is a live from SDCC episode as Dan talks about what the con has been like, he goes over the Solo Blu-ray details, talks with some of the people at Topps about Star Wars and the Topps trading cards. They don’t just talk Topps cards, however, as they do get into some interesting Star Wars conversations. 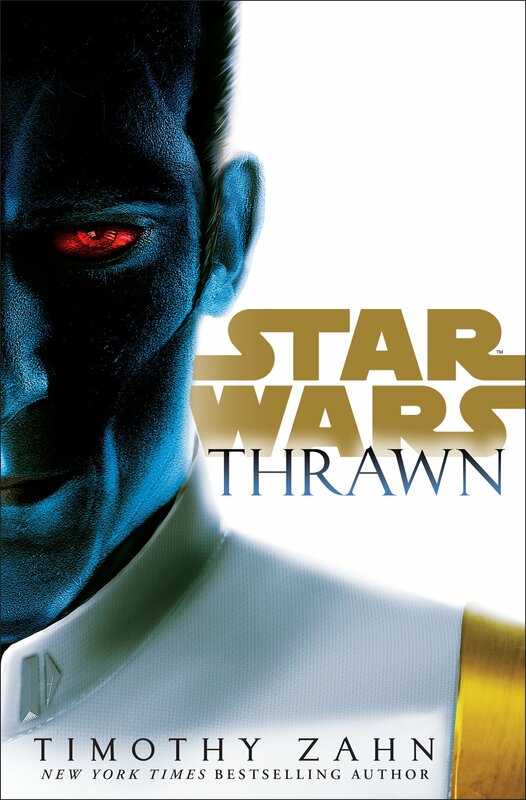 Thrawn: Alliances by Timothy Zahn is out today in hardcover, digital and audiobook formats. Click here to check out the official product page. Timothy Zahn’s Thrawn is out today in paperback. NYCC had some nice reveals over the weekend including a new Thrawn book by Timothy Zahn. THRAWN: ALLIANCES. In this new adventure, Grand Admiral Thrawn joins forces with the one and only DARTH VADER. 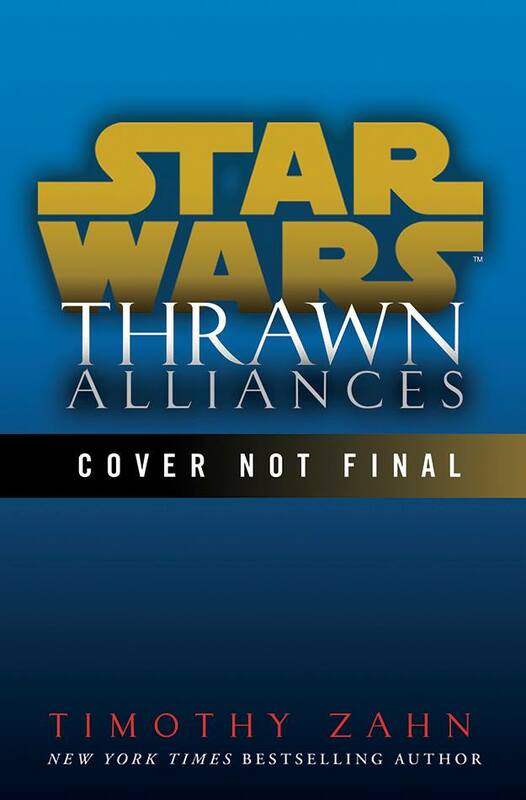 THRAWN: ALLIANCES will be out next summer, and is will be available for pre-order from all of your favorite booksellers in all your favorite formats within a few days. And for those who missed out on the Star Wars panels, you can check them out on YouTube. Lucasfilm Publishing presents: Tales from a Galaxy, Far, Far Away! Blast Points: Episode 78 touches on Star Wars Battlefront II, Han Solo crew gear, then they dive into their main discussion – Star Wars on QVC. They talk about the content that was on the channel, the products, the callers, and Mark Hamill’s involvement complete with some audio clips. As someone who missed out on the whole QVC Star Wars thing, this was a fun episode. Bombad Radio: Episode 280 is an interview with make-up artist Brian Sipe who talks about X-Men, Guardians of the Galaxy, working with actors, the challenges with the make-up, and other movies he’s worked on. It’s a good interview. Afterwards there’s some general movie discussion. Good episode. Barnes & Noble will be getting a special edition of Inferno Squad which will include a two sided poster. Pre-orders are up for The Murderbot Diaries: Artificial Condition by Martha Wells. Martha has a nice roundup of all the pre-order links on her sight. Here’s the audio from the Lucasfilm Publisher’s Writing Roundtable at Star Wars Celebration Orlando 2017. The panel featured guests such as Timothy Zahn (Thrawn), Beth Revis (Rebel Rising), Delilah Dawson (Phasma), Charles Soule (Poe Dameron), Jody Houser (Rogue One), Michael Kogge (Poe Dameron Flight Log), and Ben Acker & Ben Blacker (Join the Resistance). Here is our interview with Timothy Zahn at Star Wars Celebration Orlando 2017 covering his latest novel Thrawn.